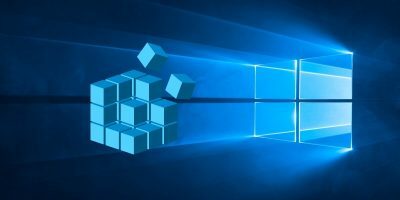 Windows and the other major operating systems might be able to support compressed files as standard, but many users prefer to install a program like WinRAR, WinZip, or 7Zip to handle their archival needs. There are immediately tangible benefits to this, including better compression ratios and support for different file extensions (some of which can be compressed even further). 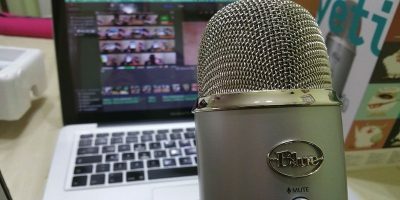 For these reasons, it is a rarity to find a computer lacking such basic software; for most people, it does exactly what they require. Nevertheless, these programs often have another talking point: customisability. 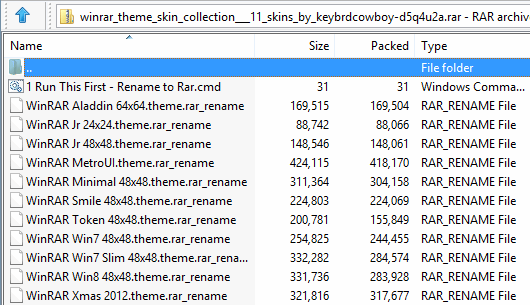 Skins and themes are created for them and allow users to really make them their own. 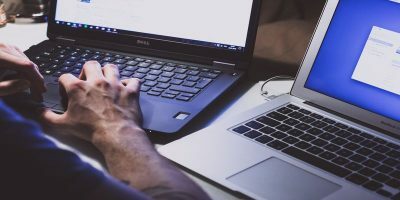 Given their often archaic looking interface, it can also be a convenient method of giving some degree of UI consistency with the rest of the operating system. WinRAR, rather unusually for a paid product, includes the ability to change theme as standard. In fact, the developers at RARLab have a dedicated section for user submitted themes. Installing themes in WinRAR couldn’t be much easier, given the program’s UI doesn’t change much and compatibility issues are practically unheard of. 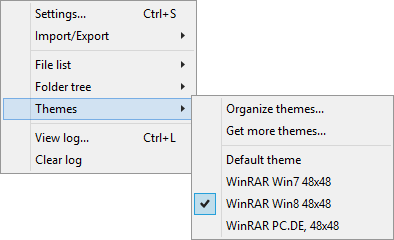 There are two distinct methods of adding themes to WinRAR. 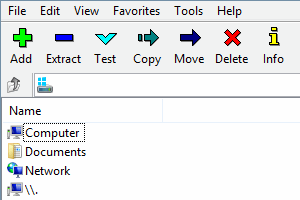 The easier way involves opening the program and going to the “Options” menu along the top of the window. From the drop-down menu, select “Get themes online,” and a link will open in your default web browser. Find the theme you like best, and click “Download.” Different icon sizes are available, meaning their size can be increased or reduced as preferred. Depending on your browser, you may be able to open the file automatically upon download. If not, simply double click it as normal. 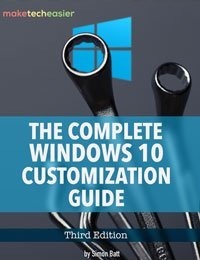 A window should appear asking if you wish to install the theme. Click “Yes.” You may have to restart WinRAR before returning to the “Options” menu to find the new entry in the list. Alternatively, find a theme online. Sites like DeviantArt often host the files for download, so set it to be automatically opened upon download completion if you can. Once the theme, or pack of themes has been downloaded, double click it. The familiar prompt to install will appear, and from here, the process is absolutely identical. You will also notice that the theme affects the icons in the taskbar as well as Windows Explorer if WinRAR is your default archive program. Open the “Options” menu as before and move down to the “Themes” option. 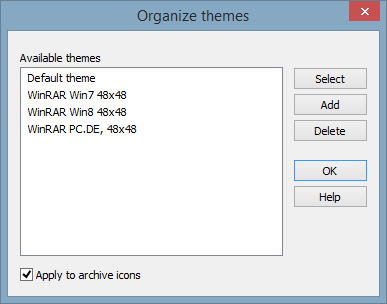 Rather than clicking a theme to change between them, select the “Organise Themes” entry instead. This will produce another, smaller window listing all of the themes installed at the present moment. Click the theme you wish to remove in the list so that it is highlighted in blue. Then simply click the “Delete” button in the upper right portion of the window, and it will be removed. 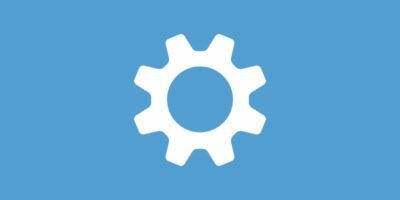 Theme compatibility within 7-Zip is somewhat unusual: by default, the program does not support user customisation, but a third-party tool enables the functionality. 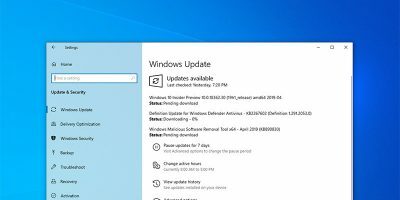 Due to the relatively minor changes made between versions of 7-Zip (and most other archiving tools), version 9.20 is the main release and works perfectly. 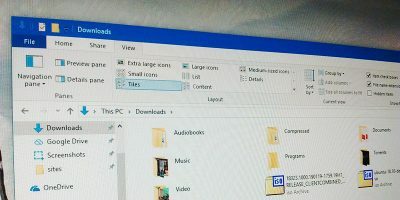 Unlike WinRAR, the process does not begin with downloading a theme; the Theme Manager contains quite a few by default, though these can be expanded upon. 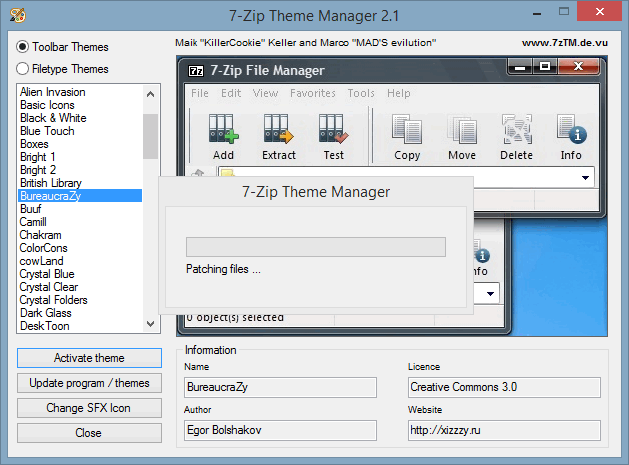 Begin by downloading 7-Zip and 7-Zip Theme Manager. Though we attempted to use the Theme Manager with the current beta, we met substantial difficulty. Thus, we can only guarantee compatibility with current stable versions of 7-Zip, 9.20 and Theme Manager 2.0. Once the download is complete, install 7-Zip and extract the Theme Manager to a folder of its own along with its sub-folders (“toolbar” and “filetype”). For whatever reason, there is an associated error message with Windows 8/8.1, but it can be ignored. Scroll through the various options, using the Preview on the right to decide on a theme. If you have 7-Zip open when choosing, close it or you will be prompted to anyway. Click the “Activate Theme” button with 7-Zip closed to receive the “Patching Files” window. This may take some time; once completed open 7-Zip once again to see the new theme. As with WinRAR, sites such as deviantART provide numerous themes. The folder structure will likely begin with either “toolbar” or the theme name. If it is toolbar, open the folder until you get to the theme name. If it is not, skip this process. 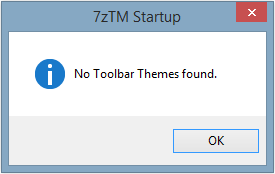 Cut the folder with the theme name, then go to the 7-Zip Theme Manager’s “toolbar” folder. Paste the new entry in and then open the Theme Manager. This new entry should appear, its name defined by the folder name. Enable the theme in exactly the same way as those pre-loaded with the Theme Manager from this point. Should you decide at any point to remove the theme, return to the “toolbar” folder within the Theme Manager and delete the corresponding folder name. 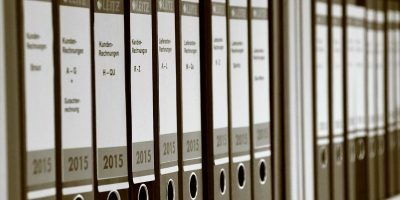 While it seems a convoluted process, it is made much easier by extracting the Theme Manager and its associated files initially, rather than running them from the original downloaded archive. Neither program is particularly taxing to overhaul, and it can work wonders on the now-familiar interfaces. 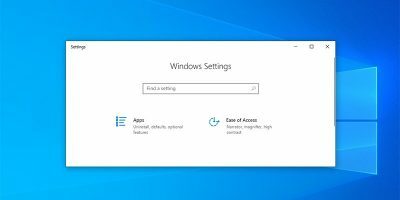 If you’re a fan of UI consistency, it can also bring them closer in line with the rest of the Windows operating system.